“You’re going camping?!?!”……. “what, like in a tent”??? (cue puzzled face and then hysterical laughter). That seemed to be the standard response to our plans for camping this weekend. Admittedly, the weather didn’t look spectacular, or at least, not unless you regard -5oC and predictions of snow as perfect camping conditions. But we decided to roll with it…. 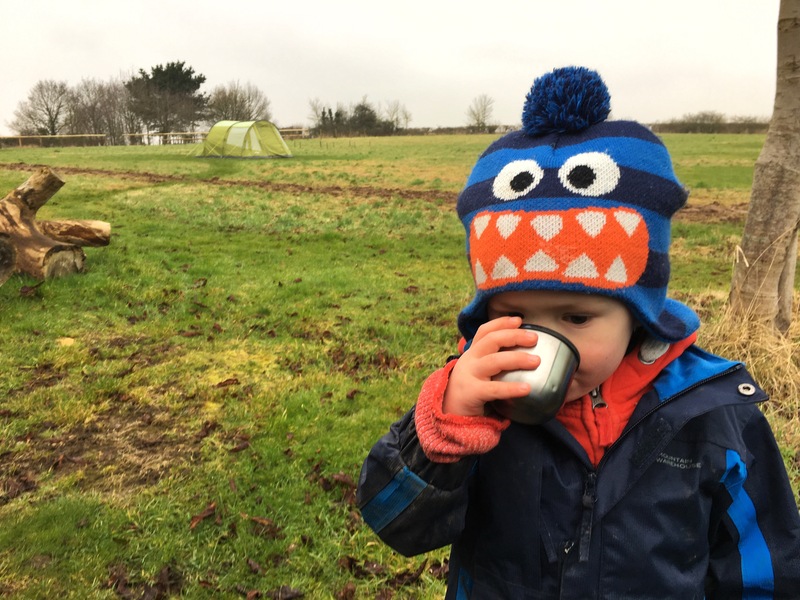 Because “no” isn’t in our vocabulary these days and getting outside come rain or shine (or snow) is what adventurous families (with warm kit) do! 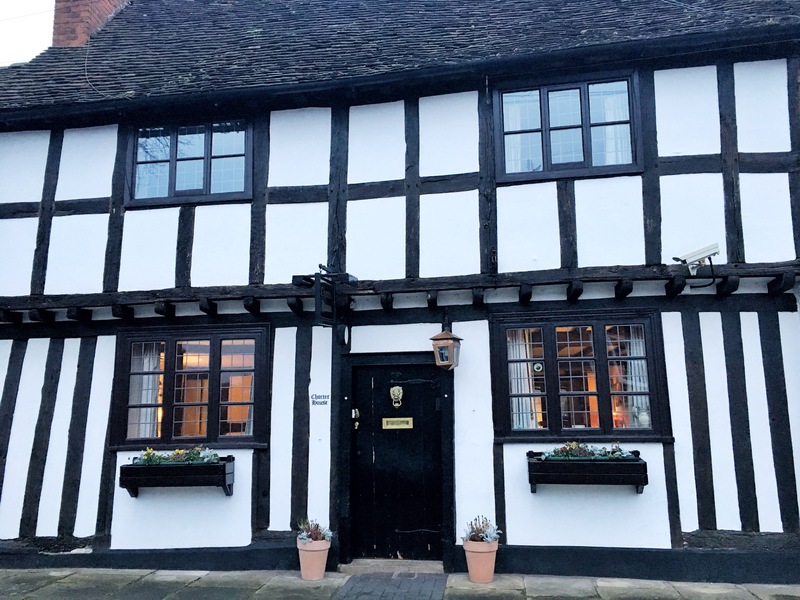 This week Warwickshire was to be our ‘XCountyChallenge’ destination. We only had two days/one night and so didn’t want to head too far away so that we could maximize our adventuring time. Warwickshire was just over an hour away so it was a perfect distance and yet despite being so close, neither of us had ever been there before! 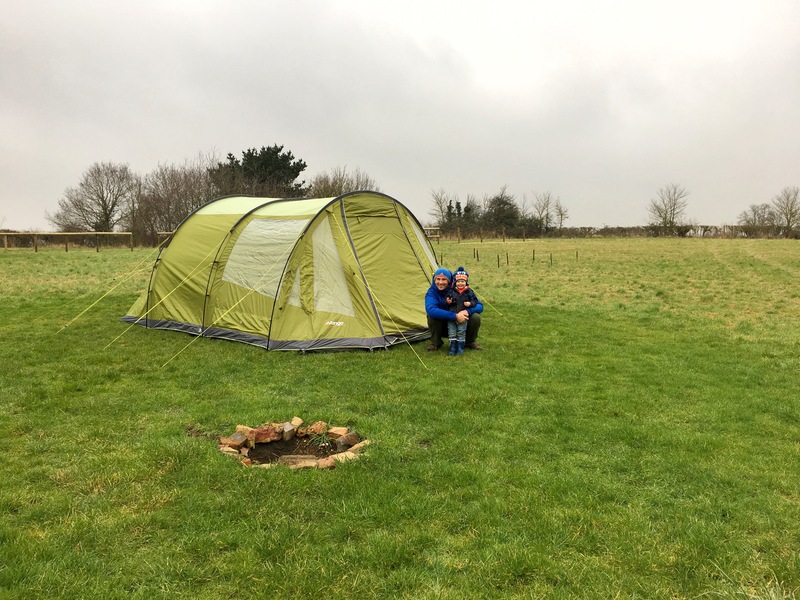 With no Warwickshire campsites seemingly open in the depths of February, we put a tweet out to Cool Camping for some suggestions, who as usual came up trumps with an awesome recommendation – Twitey’s Tipis & Camping in Hunscote, only four miles outside of Shakespeare’s Stratford Upon Avon. I contacted the brilliant Michael Twite who owns Twitey’s and although the campsite wasn’t actually open, he was happy for us to stay. Sweeeeeeeet! We sprung out of bed on Saturday morning, excited by our adventure and were on our way by 9am (we always load all bags and kit into the car the night before to lessen the toddler-induced stress levels on departure morning). Snow had settled overnight, not heavily, but it sure was cold. Despite the conditions the drive was great and we pulled into Twitey’s Tipis at 10.30am. No sooner had we pulled in then Michael was strolling towards us to greet us and Oskar was making a beeline for the farmyard machinery and the cats. Michael gave us a grand tour – sure nothing was really as it should be because the season hadn’t started yet, but we could just tell that this is one friendly, chilled out, rustic campsite. The pitches are fantastic – situated in wild meadows with the pitches mowed into the long grass, each with a fire-pit, and when all is in full operation, there would be a little farm shop, a barn ‘hang out’ area and toilet/shower blocks. 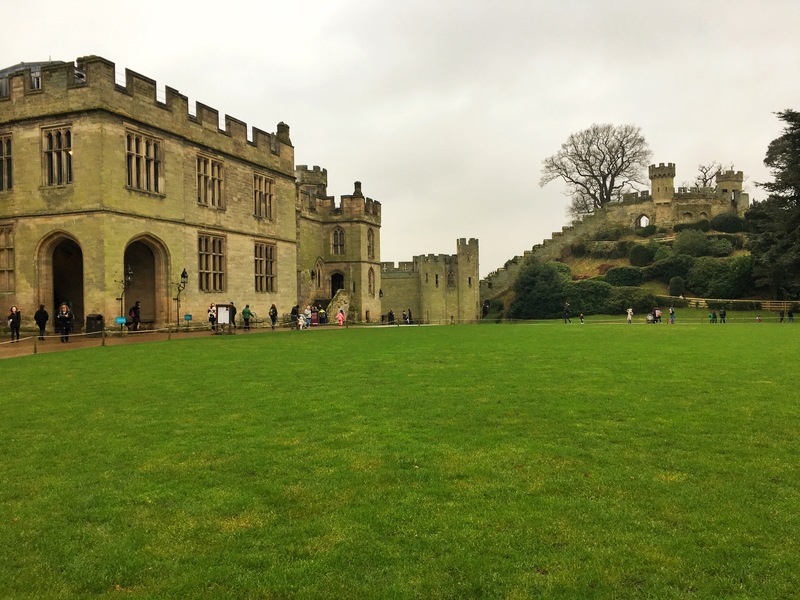 Once we had pitched our home for the weekend we headed straight into Warwick to go to the castle. 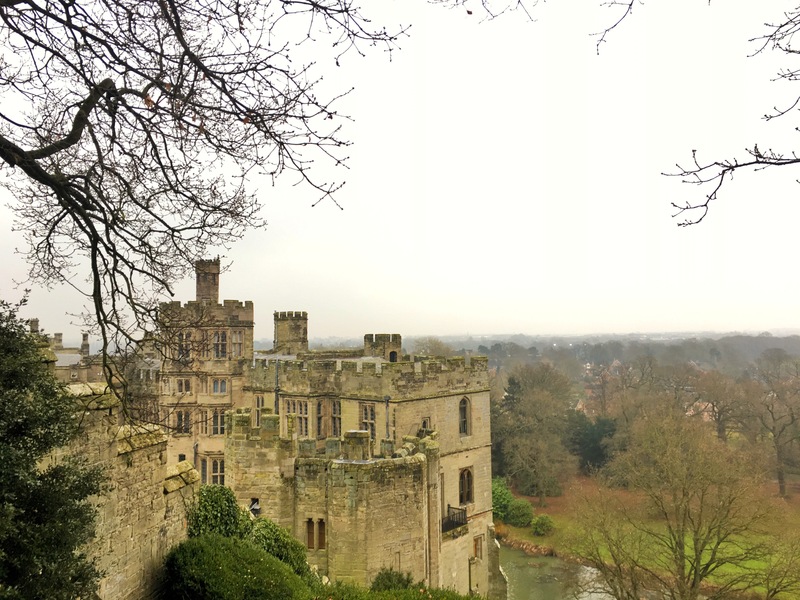 Being a pretty spontaneous person I can’t even remember why we chose to go to Warwick Castle, but I just had it in my head as one of those places you simply must visit – just like you wouldn’t go to Paris and NOT go to the Eiffel Tower. But boy oh boy…. How wrong could we be?! 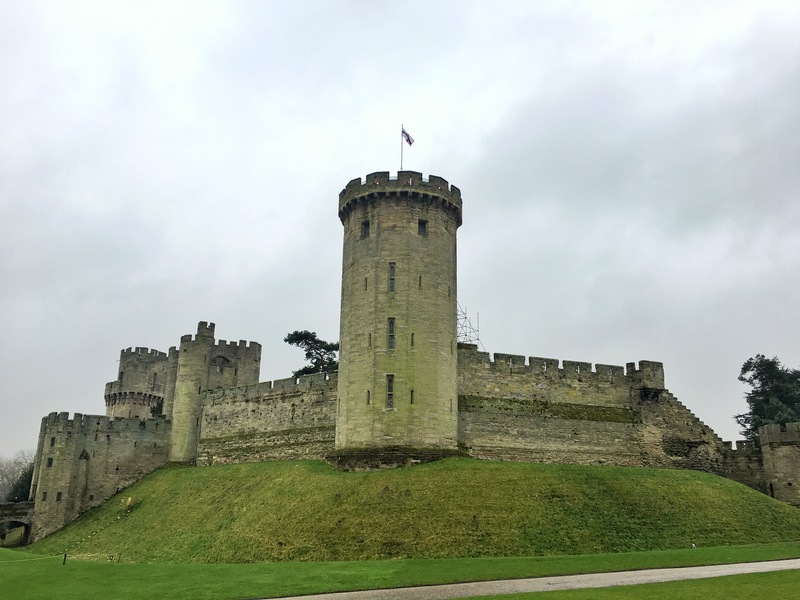 Despite being an incredibly grand castle with an impressive history, Warwick Castle is not owned by the National Trust or English Heritage but by the Merlin Entertainment Group. Yes, the same people that own Alton Towers and Chessington World of Adventures. As soon as I had realised this I should have halted our plans, but we still felt we should give it a go, given it is such a key attraction in Warwick and part of us were sure that they would do the history of this castle justice. Wrong again. The only way to describe it is absolute sacrilege. We’d bought our tickets in advance as it was much cheaper: £13 p.p. when booked 5+ days in advance, and £15.50 when 1-4 days in advance, compared to a whopping £19.20 if bought on the gate. This is for an adult ticket, which includes anyone aged 12+. Child tickets (aged 3-11) are the same cost as above if bought in advance, but ‘only’ £16.80 if bought on the gate. Oh, and don’t forget an extra £6 for car-parking (!!) 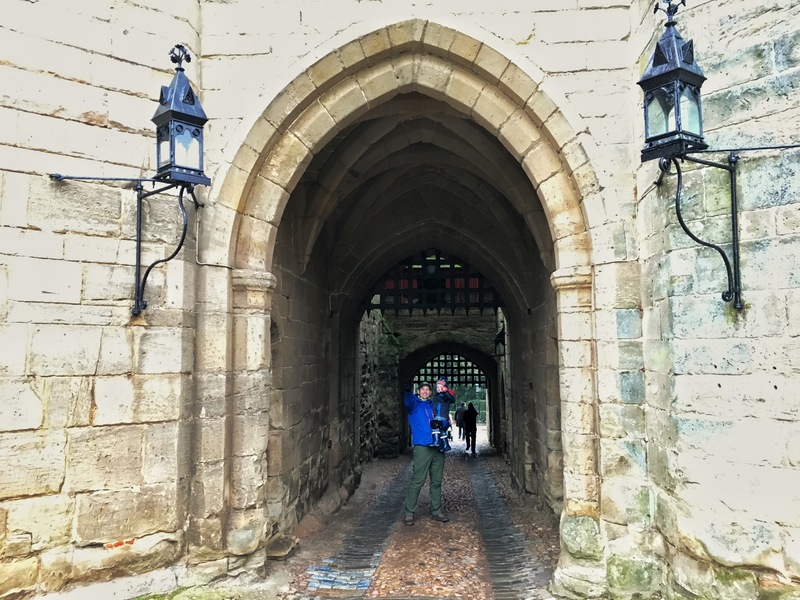 I tell you this for information only – don’t ever consider actually parting with these sums of cash to visit Warwick Castle. There is no denying that the Castle is stunning and if you take your photo from the right spot/angle you can actually take a photo without burger stands, gift shops, donut stalls, cafes and signs persuading you to part with yet more cash. The history of the castle really is incredible (even if there’s barely any of it celebrated): The first structure on the site was built in 914 by Princess Ethelfleda, daughter of Alfred the Great. Then in 1068, as part of the Norman conquest of England, William the Conqueror established a wooden motte and bailey castle on the site, which was replaced by a stone castle during the reign of King Henry II during the 12th Century. Apparently the castle has been owned by 36 different people, including four periods as crown property under 7 different monarchs. It passed through the hands of three separate creations of the Earls of Warwick, and was converted to a country home in the 17th Century by Sir Fulke Greville who was given it by James I in 1604. The castle was then owned by the Greville family until 1978 when it was sold to the Tussauds Group who then merged with Merlin Entertainments – the current owners. The ‘time tower’ was a bit of fun and lets face it about the only bit of history of the castle that was actually covered/presented. I quite liked the ‘framed pictures’ of historic owners of the castle that spoke to you and Oskar thought it was funny. Plus one of the Earl’s of Warwick in the animation looked like Roger Federer. 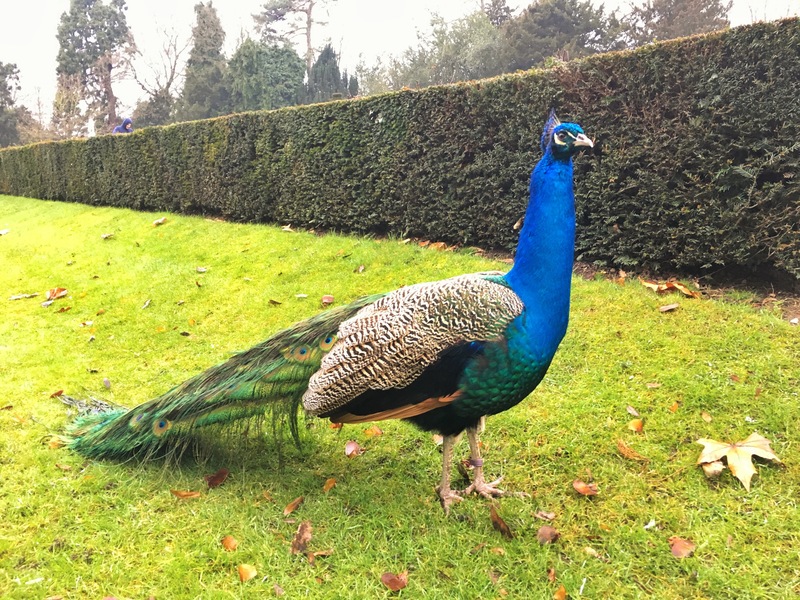 There were lots of peacocks roaming the gardens. Who doesn’t love a peacock? The views over the river Avon were lovely – this could be seen either from inside the house or from ‘Ethelfleda’s Mound’. 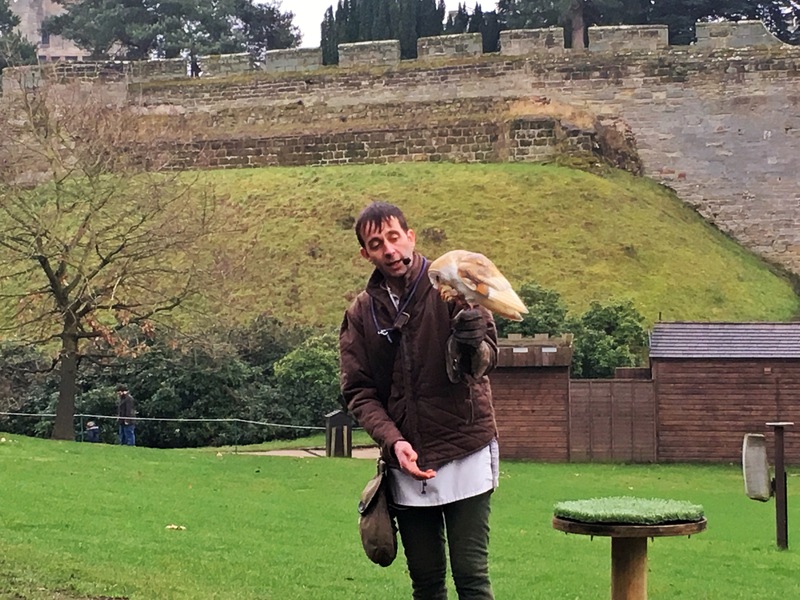 We watched the falconery demonstration and the falconer was very amusing, as was his big clumsy owl called Ernie (I think) who didn’t do anything he was supposed to do. Then there was a lovely snowy owl called Oscar, which Oskar obviously loved. He ate a chick. Whole. This was quite amusing to watch. Plus Morten couldn’t stop laughing at the fact that the whole demonstration was sold as ‘flight of the eagles’. The grounds were massive and so a lot of time was spent just running around and chasing Oskar, finding a suitable stick to be ‘stick man’ and playing hide and seek. There was also a horrible histories maze, which Oskar loved. Again, not the sort of thing we usually go for, but there was no doubt that Ozzie loved it. At the centre was a Viking boat that he repeatedly wanted to go on. As part of the Viking boat experience there was a hilarious sound bite of supposed Vikings talking about how they were going to invade, who all sounded like they were from Birmingham. Classic. Something else really not positive but I just can’t help but laugh about this little gem of information I have just read on Wiki: in the castle grounds there is a 22-tonne trebuchet, which is purported to be one of the world’s largest and has the record for being the most powerful siege engine of its type (unfortunately not working when we were there). However, hilariously, on 10th April 2015, a thatched medieval boathouse caught fire shortly after a burning cannonball was fired by the trebuchet. 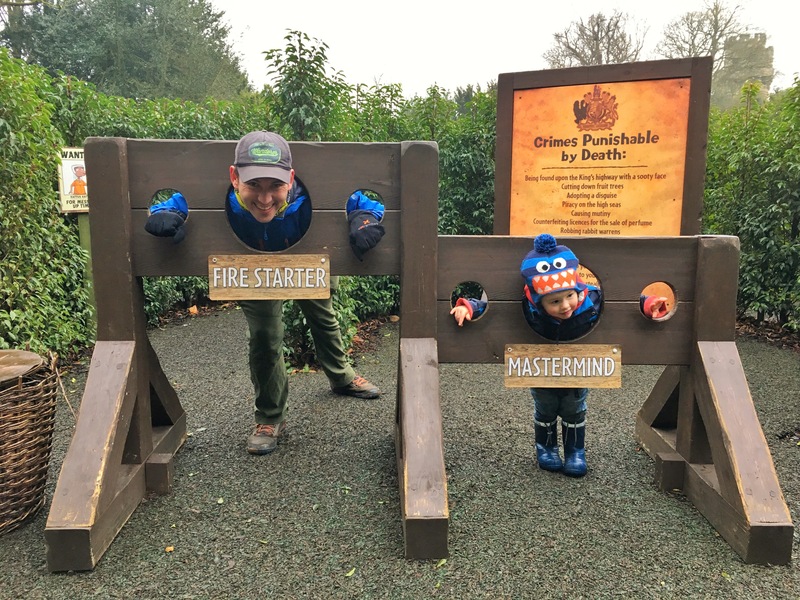 It was reported that a spark from the cannonball started the blaze although a castle spokeswoman said the cause had not yet been established (righto!) and hundreds of tourists had to be evacuated from the castle. Can you imagine?? And I think I’ve run out of positivity. I tried. In summary… it was hideous and I genuinely felt sad to think about the history of the castle and what it had been turned into and couldn’t help think that the Earls/Countesses of Warwick past, not to mention William the Conqueror would be turning in their graves at what it had become. So anyway – that was that. We paid our £6 in parking (hostage) fees and were released from the castle. We were pretty cold after four or so hours trudging around outside, so we decided to drive into Warwick and find a nice little café to have a hot bevvie, sit and chat and warm up before going back to the campsite. This would have been a great plan except Oskar fell asleep in the back of the car almost instantaneously and given how exhausted he was we really didn’t think it was fair to wake him up. However, not wanting to deprive Morten of caffeine (which is worse than waking up a tired toddler), Morts went to a cool and quirky little café called ‘Bread & Co’ and got us some take out coffees/hot chocolates and some sweet treats and we sat in the car munching these and watching the world go by. 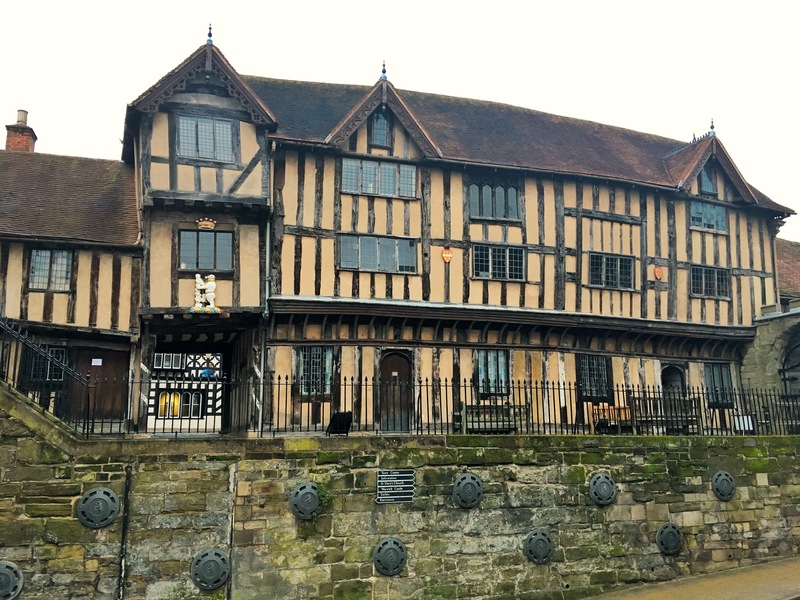 I then had a bit of a wander around Warwick town appreciating the medieval town, whilst Morts sat in the car with O, and enjoyed some time out. Then we headed back to our tent. 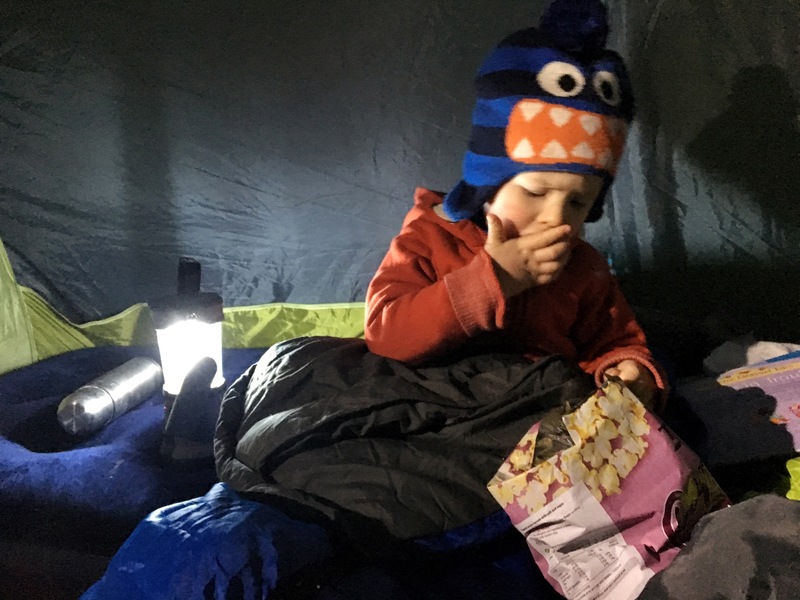 We dived straight into our tent, got on our thermals and snuggled in our bags. I ‘cooked’ (reheated) the big chill con carne that I had made the night before and Morts warmed the mulled wine. Both were delicious. We genuinely weren’t cold at all during the night – I guess as long as you have some half-decent kit then you’re alright. I certainly wouldn’t recommend taking a two year old camping in February with a one/two season bag and a flimsy pop-up tent. But we enjoyed our evening and stayed up for a few hours reading books with Oskar, who was re-charged post-nap; then we all had an early night and crashed out about 9pm. Amazing!